Arrest date: Sept. 24, 10:15 a.m.
Police say: Morales stole a lottery ticket from Howard's Variety store on Naugatuck Avenue on July 19. Police are accusing Morales of taking 100 $2 "Bonus Ball Bingo" scratch tickets. Arrest date: Sept. 24, 3:40 p.m.
Police say: DeLauro was parked in front of a former companion's house on Lawrence Court and had been warned not to contact the victim. Arrest date: Sept. 23, 3:30 p.m.
Mayor Ben Blake and Republican challenger Peter Spalthoff debated last night – though, “answered questions from the audience” is a more accurate depiction. Many news outlets like to use Pinocchio’s nose, or, in the case of the Seattle Times, the Space Needle, to measure how truthful the candidates’ statements were. I’d like to use a less pointy metaphor. So, I’m measuring the truthfulness (or accuracy) here in distance in Connecticut from Milford. So, if one of the candidates said, “Barack Obama doesn’t have a birth certificate” they would be rated “North Canaan” because that's as far from the truth (Milford) as you can get. Get it? Hey - do you like local history and/or halls of fame? The Milford Hall of Fame is holding its 2013 induction ceremony on Wednesday at 5 p.m. at the Parsons Center. A committee made up of all the ex-living mayors (Richetelli, Jepson, Jagoe, Baldwin, Kozlowski) selects the inductees (who are all, unfortunately, deceased). Would you like to know who they're adding to the HoF? -Fannie Elizabeth Beach: Born in May, 1866; was a school teacher in Milford. -Capt. Jehiel Bryan: Born in 1728 in Stamford, he served as a captain in the revolutionary war. He died in Milford in 1853. -Herbert Israel Mathewson: Former schools superintendent and namesake of Mathewson Elementary. -Edward R. Lambert: An author who wrote the book "History of the colony of New Haven before and after the union with Connecticut," which included writings on Milford. 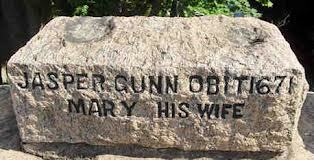 -Jasper Gunn: Milford's first doctor, he lived between 1606 and 1671. Arrest date: Sept. 16, 5 p.m.
Police say: Pressler and Dymarcik are roommates and were involved in a disturbance with each other, which led to their arrests. Arrest date: Sept. 17, 1:45 a.m.
Police say: After arresting Goings for an outstanding warrant out of West Haven, police found Goings in possession of cocaine. Arrest date: Sept. 13, 6 p.m.
Police say: There was a disturbance at the Westfield Connecticut Post Mall, and during the investigation, Ingram punched a police officer in the face. Sheffield and Ingram were arrested for being involved in a fight, which violated a protective order against Sheffield. Arrest date: Sept. 14 2:25 a.m.
Police say: They stopped Coelho for a motor vehicle violation and discovered he was intoxicated. A test revealed he had an elevated blood-alcohol content. Mayoral Debate: What's the Biggest Issue Facing Milford? 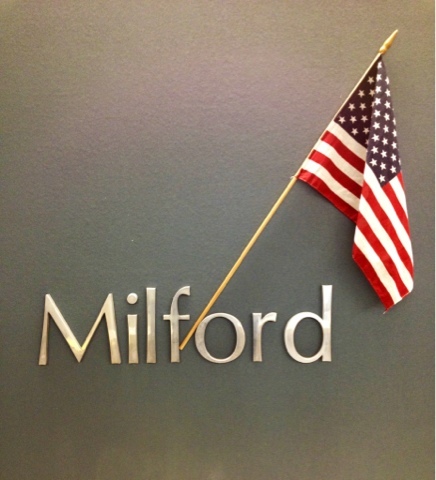 Are you going to the first Milford mayoral debate on Tuesday night? Mayoral candidates Ben Blake (the incumbent Democrat) and Peter Spalthoff (Republican) will debate Tuesday night at the First United Church of Christ on West River Street. I'm told that this debate typically draws ~50 people - 20 Republicans, 20 Democrats, and 10 genuinely interested citizens. The format of the debate basically just lets people walk in off the street and ask these candidates questions (the moderator does screen questions, just to ensure no on launches personal attacks, etc.). So, what do you want to ask these candidates? What's the biggest issue facing Milford? No, seriously - I want to know. Leave your thoughts in the comment section. Arrest date: Sept. 12, 2:30 a.m.
Police say: Brooks was not driving in the established lane. During a traffic stop, police suspected Brooks of operating under the influence of alcohol, and found two swords and a machete in the vehicle. Brooks refused a breathalyzer. There was a very important and very well attended Zoning Board of Appeals meeting in Milford last night. The major issue on the agenda was in regards to the domestic violence shelter that a nonprofit planned to open in Woodmont. Basically, the ZBA struck down a letter written by assistant city planner Emmeline Harrigan in 2012 allowing the nonprofit BH Care to open a domestic violence shelter without any further zoning approvals - that is, BH Care would not have to go in front of a public board and ask to be allowed to operate in a single-family zone. That's an important point - discussing a domestic violence shelter in public undermines its existence. The addresses of these shelters are supposed to be anonymous so abuser don't inflict further harm on their victims. So, if you go putting the address on a public agenda and all the other due diligence that goes with operating a public meeting, you're undermining that anonymity. Here are the post-election calculations for voter turnout at Tuesday's board of education primary. The turnout was ... low. 203 voters + 9 absentee voters = 212 total voters. As of Thursday there were 1,726 registered voters in Milford's fightin' second district. 212 voters/1,726 registered = 0.1228, or 12%. The last primary held in Milford was in 2010 and was for big-name races - governor, U.S. Senate, U.S. Congress, secretary of state, etc. - 22% of Democrats turned out and 24% of Republicans. Arrest date: Sept. 9, 11:55 a.m.
Police say: On May 31, they got a complaint that an electrical contractor had promised to do work, but failed to actually do it. The victim, an Elizabeth Street resident, says she hired Larsen to install an electrical generator and gave him a $6,400 deposit for the job, but he never did it. Arrest date: Sept. 9, 7:21 p.m.
Police say: Responding to the Sears at the Connecticut Post Mall on a larceny complaint, an investigation revealed that Williams and Reed tried to take $686.92 worth of merchandise without paying for it, hiding some of it inside a child's stroller. Arrest date: Sept. 6, 5 p.m.
Police say: Stemming from an incident at Milford Hospital on Aug. 2, police arrested Lee on a warrant for spitting on and threatening hospital staff. Arrest date: Sept. 7, 12:50 p.m.
Police say: Chizmadia took a relative's car without asking from 64 Hazelwood Ave. Arrest date: Sept. 8, 2:30 a.m. Arrest date: Sept. 3, 7:35 p.m.
Police say: Responding to a complaint of a disturbance at a Meadows End Road home, a police investigation revealed that Peters got into a physical fight with three relatives. Arrest date: Sept. 3, 9:15 p.m.
Police say: Police arrested Paquette-Crisant on a warrant because she failed to respond to an infraction issued on March 14 for possession of marijuana. Arrest date: Sept. 4, 2:30 a.m.
Police say: After stopping car near Exit 40 off of Interstate 95, police say they found Rivera, the passenger, in possession of heroin. Milford watch, Parson's Center, 3:43 p.m., 9/5/2013. A person (who shall remain anonymous) once showed me an outrageous cell phone video of some very drunk men relieving their bladders all over a business in downtown Milford. I suspect this sort of behavior - and worse - probably happens all the time in the vicinity of bars in Milford (and in the vicinity of most every bar in the world). The Prevention Council touts that TIPS training can reduce property damage, limit liability, aid in bars complying with state laws, and, on a serious note, preventing drunk driving incidents. Interested? Contact the Prevention Council at (203) 786-6676. I'm working on a larger story about this, but I wanted to put it out there that the city is holding a workshop on Sept. 9 from 1:30 to 2:30 p.m. at City Hall to disseminate information about the various funds available for Sandy victims. It'll be Mayor Ben Blake, state Housing Commissioner Evonne Klein, and DOH program manager Hermia Delaire. 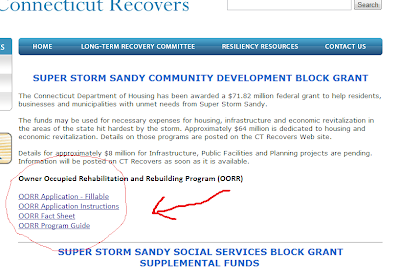 They will apparently discuss a variety of aid programs for Sandy victims, especially the (they couldn't come up with a shorter name) "Department of Housing's owner-occupied Rehabilitation and Rebuilding Program, funded by the U.S. Department of Housing and Urban Development's Community Development Block Grant - Disaster Recovery (CDBG-DR) program." Arrest date: Sept. 2, 6:35 a.m.
Police say: Blum had asked the victim for a ride, and after the victim refused, Blum began hitting him with a hammer and screaming. The incident took place in the parking lot at 1391 New Haven Ave.
Police say: Police found a bleeding man walking along Melba Street, and after an investigation discovered that he bleeding man had been in an altercation inside a home along Atwater Street. Police found that had lunged at the bleeding man during an argument; the victim put his hand up to block the attack, and sustained a hand injury. Arrest date: Aug. 31, 2013, 5:55 p.m. Arrest date: Aug. 29, 9:30 a.m.
Police say: Yackel contacted his wife by phone, who had a court-issued protective order barring him from doing so. Arrest date: Aug. 29, 11:29 a.m.
Police say: Marino tried to take 17 cases of Red Bull from the Stop and Shop along East Towne Road. Arrest date: Aug. 29, 10:30 p.m.
Police say: Morgan failed to appear in court on Aug. 5 to face a charge of having improper insurance coverage (and incident that occurred on Feb. 17). Arrest date: Aug. 28, 11 a.m.
Police say: Page left the scene of an accident that occurred on Roses Mill Road. Arrest date: Aug. 28, 12:50 p.m.
Police say: Cicarelli tried to use a fake prescription at the Walgreen's along Bridgeport Avenue. Arrest date: Aug. 28, 5 p.m.
Police say: Palumbo threatened to damage the personal property of a relative who lives along Wheeler's Farms Road. I've written a couple of Woodmont-centric stories recently, and it got me wondering: why does Woodmont even exist? Woodmont is a borough inside the city of Milford located (roughly) along between Long Island Sound and New Haven Avenue east of Abigail Street. The state recognizes it as an independent municipality, but look on any Woodmont resident’s license and it says they live in Milford. The borough has a board of burgesses, which doesn’t have any real statutory authority – they can’t change zoning or pass laws or anything like that. 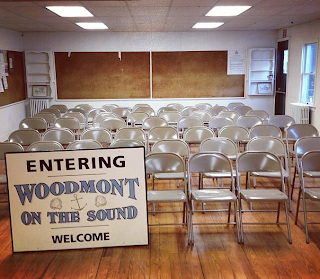 Every Woodmont resident is a subject of both Milford city government – the mayor, the police, the board of aldermen, the school district, etc - and the borough. That means: double government (quadruple if you count state/federal). Woodmont residents pay a separate (small) tax that pays for a part-time police officer (actually a Milford cop working on overtime), a library, parks and recreation, and general operational expenses. Some have said that the article I wrote today about declining enrollment in Milford schools is unclear. I apologize if you feel that way because I always try to state things as plainly as possible. So, here’s the raw data on the enrollment situation in Milford.